We have advertised a range of positions on our national committee over the past month. The positions have been filled by enthusiastic, dedicated people and the team will be working together for the year ahead. Having a national committee will increase both the capacity of GfGD to produce resources and support University groups, and also the number of opportunities for you to become involved with our work. Last week we introduced the communications team, myself (Rosalie Tostevin) and Jane Robb, and this week we are pleased to announce the rest of the committee. Joel Gill is the Founder and Director of GfGD. Joel studied Natural Sciences at the University of Cambridge, followed by a Master’s degree in Engineering Geology at Leeds University. 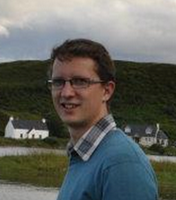 Joel is now researching multi-hazard models for small urban areas as part of his PhD at King’s College London. Joel established Geology for Global Development in 2011, and is currently responsible for the overall leadership and strategic development of our work. Joel will be continuing to direct the organisation, working closely with and receiving support from our new secretary, Ellie Murtagh. 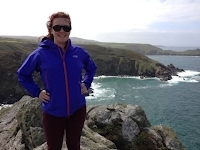 Ellie Murtagh is an Irish American, who has recently graduated with a degree in Geology and Physical Geography from the University of Edinburgh. 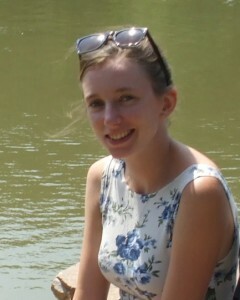 Ellie has experience working in a hospital in Vietnam and as a climate researcher in Tajikistan. She now works as a graduate geologist for a geophysical service provider for the oil, gas and mining industries. Ellie undertook our CAFOD placement earlier this year and proved to be an excellent test case for UK-based student placements, achieving an incredible amount in a short time. 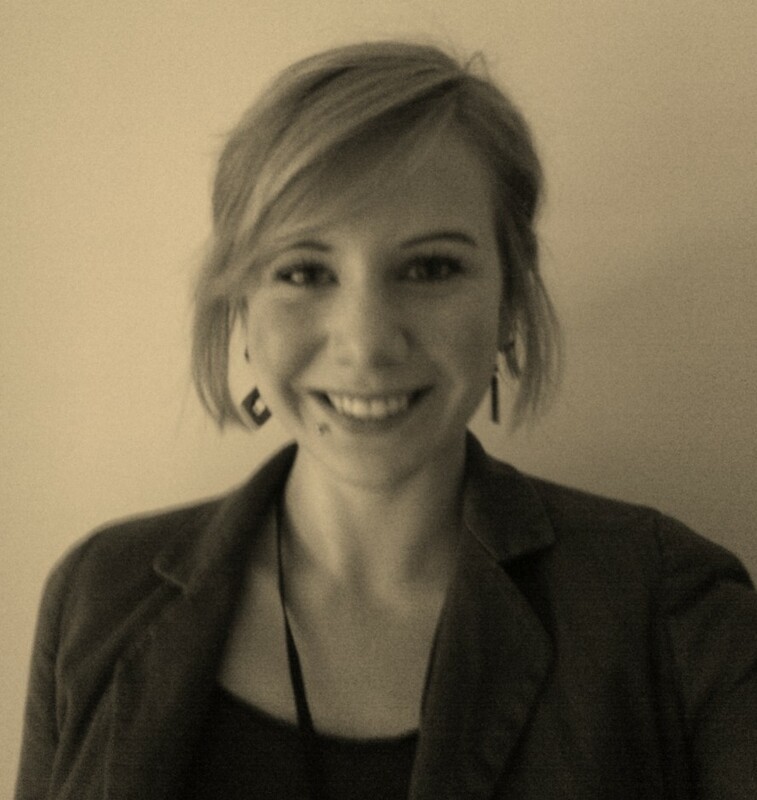 Faith Taylor will be managing our University Groups. Faith is a PhD student at King’s College London, where she is developing a model to understand the probability of landslides impacting road networks. Faith will be offering support, advice and resources to both new and existing GfGD University Groups. We are always looking to expand our network of University groups, and Faith would be happy to provide the necessary support if you would like to establish a new group at your university. Tim Middleton will be our Advocacy Development officer. 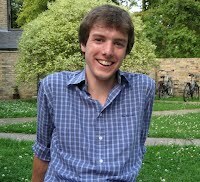 Tim is a first year PhD student in the Department of Earth Sciences at Oxford University. He spends his time studying active tectonics in central and eastern Asia, including some rather exciting fieldwork in Kazakhstan and China! Tim will be coordinating our advocacy programme and campaigns, engaging young geoscientists in effective advocacy work – including the scrutiny of government legislation, getting involved in major campaigns, and promoting good geoscience within development work. Tim has a strong background in science communication and will be able to help us put our message across in the right places. 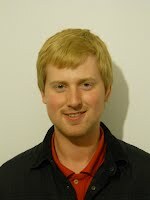 Donald John MacAllister will be our Publications and Resources Officer. Donald has a BSc in Geophysics from the University of Edinburgh and an MSc in Water Management from Cranfield University. He has spent three years working as a hydrologist and water engineer, both in the UK and in the international development sector. Donald will be developing the resources and publications that we make available to NGOs, after careful consideration of the requirements of NGOs. Marc Leach will be our dedicated Education & Careers Officer. Marc is a recent graduate of the University of Manchester with a BSc in Geology, who is planning on undertaking an MSc starting in 2013. His primary interests include Hydrogeology and Engineering Geology, and he has experience working with the mining industry as well as for charities. Marc will be working to develop our education and careers resources, including highlighting and advertising relevant Master’s courses, collating careers advice from those in the development sector and helping students to understand the various career pathways that exist. You can hear more from each of our committee members on the dedicated area of the GfGD website. If you want to be more involved with the work of GfGD, then please don’t hesitate to get in touch with one of us. The water available in or near your home can vary dramatically over short distances. In Manchester, there is a robust supply of fresh water from the Lake District, whereas in London (only 200 miles away) the water has passed through limestone, leaving it with a cloudy taste and causing limescale build-up. Signs up on the London underground at the moment are encouraging people to save water by taking the “4 minute shower challenge” and this summer we have had a series of localised droughts and floods. Food prices are expected to rise because there was too much rain this summer, leading to widespread crop failure. Even in the UK, where we have plenty of year-round rainfall, controlling the quantity and quality of water is an expensive and precarious business. It was in London that the connection was first made between water and health. John Snow noticed that the cholera outbreak in Soho was being caused by a contaminated water supply from the broad street well. In the UK there is now a secure and safe water supply. However, the water available to people around the world is much more variable. 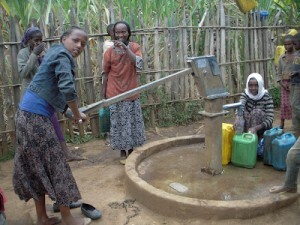 Over two million deaths a year are caused by poor water hygiene – equivalent to AIDS or malaria. 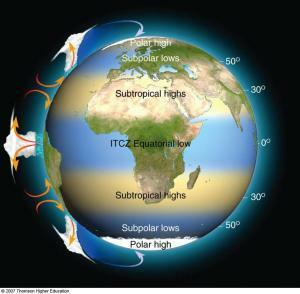 The primary control on precipitation (water that falls as rainfall, sleet or snow) is the large-scale convection cells in the atmosphere, which vary systematically with latitude – are you in a tropical zone or a desert zone? Groundwater levels, however, follow more complex patterns. Groundwater maps of Africa produced by a team at UCL show surprising levels of groundwater in unexpected places, such as deep beneath the sahara desert. The primary control on the quality of water is often geological – what rock and sediment does the water pass through between the source and the point of access? NASA’s landsat educational archives: Latitudinal bands of tropics and deserts across the globe are driven by large scale atmospheric circulation cells. In developing countries projects often have to work on a local scale, because there is no centralised water supply. Lack of access to water often has a disproportionate impact on women, who are normally expected to walk long distances to collect water from uncontaminated wells. Babies and small children are then the most vulnerable to health problems if the water supply is contaminated. Provision of clean water is the single most important factor in reducing infant mortality. Surface water is more susceptible to contamination from bacteria, but groundwater is more susceptible to heavy metal contamination. Two of the most worrying contaminants are Fluoride and Arsenic, and we will discuss each of these in depth in future blog articles. GfGD has discussed problems relating to water supply in the past, such as our winning entry in last years blog competition, and Donald John MacAllister’s guest blog sharing his practical experience in Bangladesh. Look out for more on our ‘water series’ over the coming weeks. 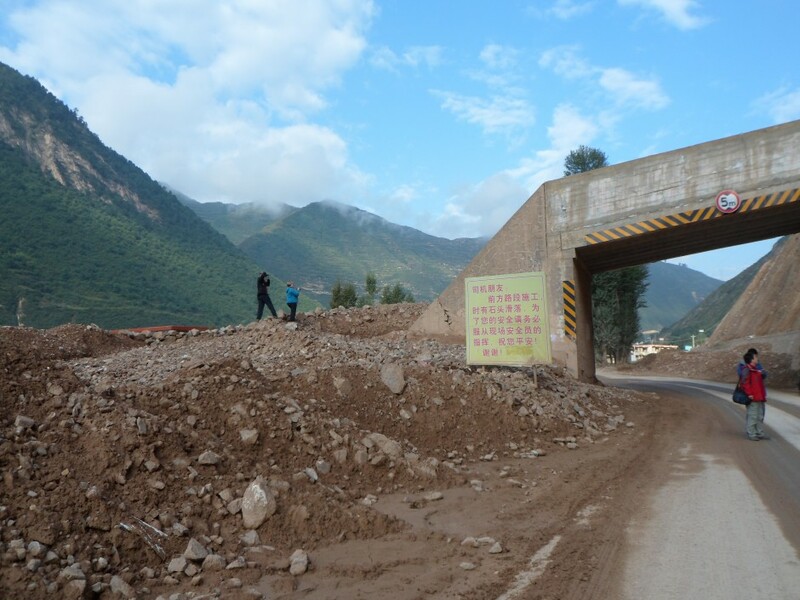 This channel is designed to transport debris flow material away from the road, thus preventing a major road blockage. The poor design and maintenance of the channel, however, is resulting in material coming down the channel and then being pushed back on to the road. Geology for Global Development has now been operating for around 18 months. In such a short time, the Founder and Director, Joel Gill, has overseen vast amounts of growth. GfGD has expanded beyond its initial horizons and so we have established a national committee. These positions were advertised through the blog over the past few months and have been enthusiastically taken up by a team of dedicated people. This means a big change in the way GfGD is run, and guided by the experience that Joel has picked up over the whirlwind first 18 months, we will now be able to work together to take GfGD even further. I have been appointed as the Deputy Communications Officer. This means I work with our Communications Officer, Jane Robb, to deliver GfGD’s communications strategy. Jane will be responsible for overseeing all aspects of our communications. This will involve managing the website, social media (Facebook and Twitter) and newsletters, and thinking strategically about how we best get our message across to various groups. Her role is very much a cross-cutting one, and she’ll work to support the whole team in improving how we communicate the GfGD vision. The blog has been a major part of GfGD’s work, and since Joel’s first post back in February 2011, we have had over 61,000 pageviews. 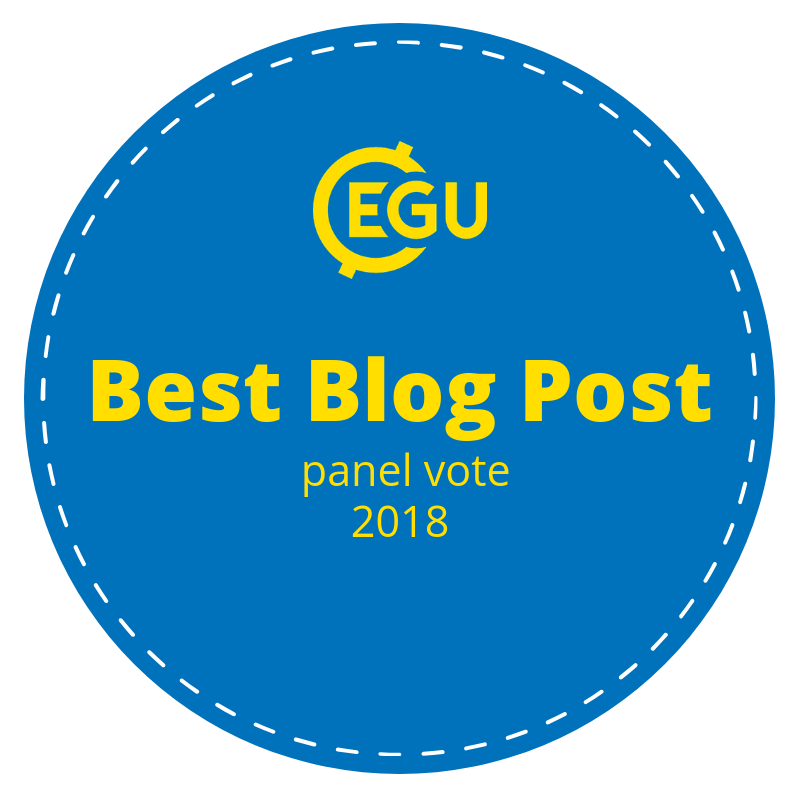 We have now moved the blog to a new home, in the EGU Blog Network, where we will hopefully receive an even wider readership. The blog focuses on the intersection of Earth science with human lives, and exists to inform people about GfGD’s work, to spread the word about news and opportunities for geoscientists in the development sector and to raise awareness of different ethical issues relevant to geoscience. I will be managing the blog, continuing to publish articles and photos three times a week. As before, you are welcome to submit guest blogs, photos, interviews and book reviews to be published on our blog. You can also volunteer to be a regular columnist, alongside Dan Sharpe and Alex Stubbings. We have a wide readership and want to reflect that by having a wide variety of posts from different people and places, so please don’t hesitate to get in touch. This is my first post in charge of the blog, and I want to take the chance to introduce the new committee over the coming week, starting with the communications team: Myself and Jane Robb. Jane has a BSc (Hons) in Geology from the University of Edinburgh and an MRes in Heritage Science from The Bartlett at UCL. She has four years’ experience in science communication in science centers, museums, teaching and developing resources for formal and informal secondary education. She is a published author in several science and cultural heritage publications, a fellow of the Geological Society of London, the Science Group web editor for the Institute of Conservation and responsible for implementing student experience initiatives and improving pedagogical practice across The Bartlett at UCL as their new Student Experience Fellow. At GfGD, Jane’s role as Communications Officer on the National Committee has her overseeing all aspects of their communications: managing the website, social media, newsletters and thinking strategically about how to most effectively communicate GfGD’s vision to the wider community. I am a PhD student at University College London (UCL). My research ranges from modelling the sulphur cycle in the modern ocean to reconstructing seawater chemistry up to a billion years ago. I did my undergraduate Master’s degree at the University of Cambridge, where I worked on ‘Timetruck’, the department’s outreach programme. I have also spent time working in industry, as part of BP’s North Africa exploration unit. This year, I have been working to build up the GfGD group at UCL, and I’m now joining our National Committee. I will manage the blog, and aim to encourage young geologists to enter the development sector, showcase good geoscience and bring you the latest news and opportunities in development and science communication. If you want to contribute to the blog, you can contact me by emailing blog[at]gfgd.org.